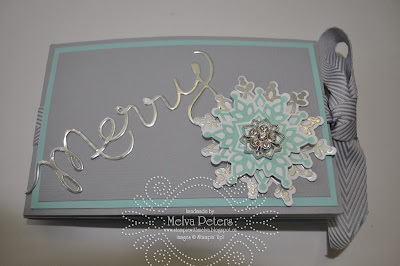 I was able to spend some time with some stamping friends on Saturday which is always fun. We always have so much fun when we get together and always come up with a great project! 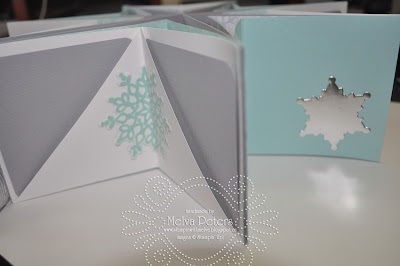 Originally the plan was to work on My Digital Studio, but we actually worked on an project that Diane Evans (check out her blog) shared with the Canada Inks Up! team at Convention. 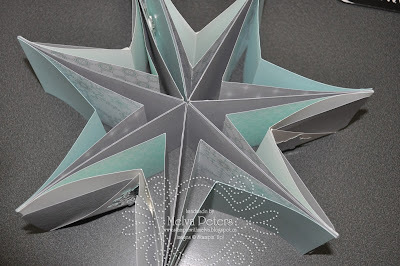 Diane's StarBook is amazing - a photo and memory album. What a great way to capture photos and memories from Christmas. You can bring out your album each year and set it on your coffee table for family and friends to add new memories to. I'll be offering a class in November - stay tuned for the details. Don't miss out on the great weekly deals from Stampin' Up! this week. Thank You Thursdays - Specials from Stampin' Up!